After 54 Days OF Hunger Strike Atena Daemi The Human Rights Activist End The Hunger Strike . According to news by Iran Human Rights Organization , After finding out that the appeal court has found her sisters not guilty of charges , Atena Daemi the imprisoned human rights activist today ( wednesday )has ended the hunger strike after 54 days. Based on the news , today Wednesday the division 48 of the court of appeal found Atena and her sisters not guilty of the charges of " insulting the agents on duty " . Earlier the court headed by judge Moghiseh found the sisters to three months imprisonment for alleged charges of " insulting the agents on duty " . 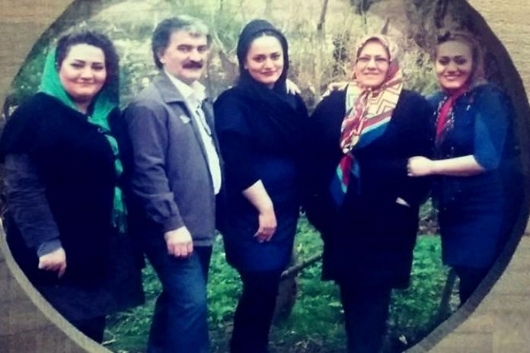 In protest to their arrest and the allegation against her sisters , Atena Daemi went on hunger strike since April and continued the hunger strike for 54 days until today. Aetna demanded for the release of her sisters and that the charges against them be dropped and in protest she continued the hunger strike for 54 days until today ,which finally the division 48 appeal court dropped the charges. 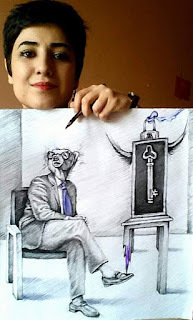 IRAN WATCH CANADA: Now that the appeal court found Atena Daemi not guilty she should be immediately released from prison. 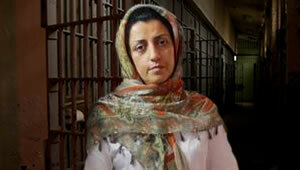 According to news coming from Iran , the imprisoned human rights defender Narges Mohammadi is admitted to the hospital. Narges Mohammadi is suffering from lung disease and muscle paralysis . Physician believe these two disease in the prison cell will deteriorate the health condition of Narges Mohammadi and thats why they have recommended her to be transferred to the hospital. This time she had severe internal hemorrhage when the prison officials allowed the doctors to transfer her to the hospital. The doctors believe the aforementioned diseases alone plus the continuous prison environment is dangerous for Narges Mohammadi's health. 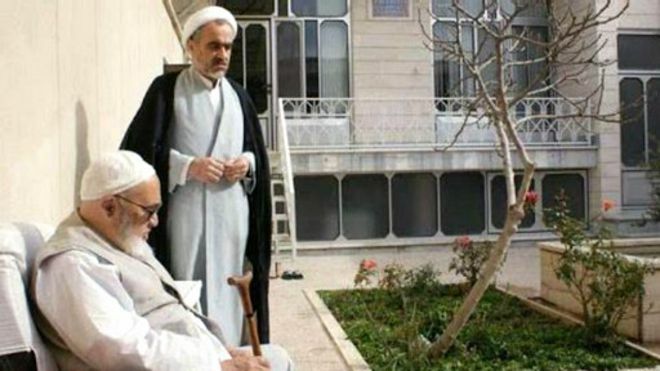 According to news , Ahmad Montazeri the son of Ayatollah Montazeri speaking to Campaign for human rights said : He hope that Mostafa Pourmohammadi won't be present in president Rohani's next term cabinet, since in the first term clergy Pourmohammadi was the judiciary minister in president Rohani's cabinet. Mustafa Pourmohammadi is known as one of the four " Mass Murderer" prosecutors who have ordered to the killing of thousands of Iranian political prisoners in 1988. Based on a voice tape released by Ayatollah Montazeri's office earlier, four prosecutor's including Mostafa Pourmohammadi attended at Montazeri's office and spoke/ revealed about the killing, this voice tape is available to the public which was released by son of Ayatollah Montazeri. 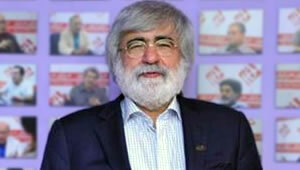 Mr. Ahmad Montazeri also said, candidacy of Ebrahim raise for presidency is also an insult to Iranian people. Ibrahim Raeisi is also known as " mass murderer ayatollah " . 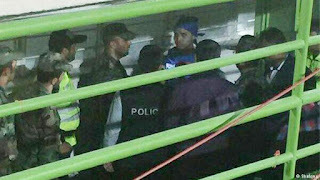 According to news coming from Iran, last Monday May 22 an Iranian women who is a Esteghlal soccer club fan, changed her appearance like a man and attended the soccer match between Esteghlal - Al Ain ( the Emarati soccer club) in Azadi Stadium but was identified by the security forces and was arrested. In order to attend her favourite team match , she dressed blue like the Esteghlal team and covered her hair with blue bandana and entered the Azadi stadium as a man. This isn't the first time that, women dressed like man in order to attend the stadium to watch the game. IRAN WATCH CANADA: Iranian women are banned to enter stadium and watch national and international matches. They are not allowed to watch man's game in the stadiums. 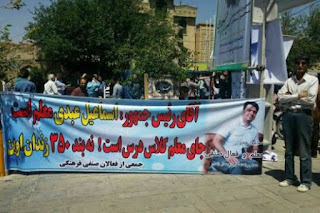 According to ILNA , teachers union activists collected 15000 signature from teachers and activists for the release of their colleague Esmail Abdi the imprisoned teacher and yesterday the teachers representatives have delivered this signatures to the judiciary power and to the president Hassan Rohani . Email Abdi is sentenced to six years imprisonment and currently is on hunger strike and suffers from health condition. The teachers representatives also met with an MP to discuss for Mr. Abdi's release from prison. According to news , the " Bairami "publication , a weekly from Tangestan is suspended because it has published the picture of the former president Seyed Mohammad Khatami on the front page of its weekly. According to news, this weekly violated the order of the judiciary power on banning the publication of Khatami's picture in all Iran media. Abbas Faghih the public prosecutor of the city of Tangestan said , if the managing editor of this weekly promise not to violate again the banning order , he will withdraw the charges against him and will stop the court proceeding and he won't be detained. 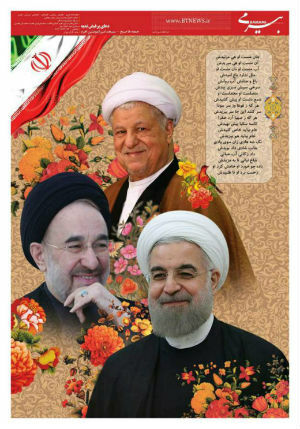 IRAN WATCH CANADA: The Islamic regime judiciary has banned publication of the picture of former president Seyed Mohammad Khatami because of his support for Mir Hossein Musavi one of the presidential candidate in the controversial presidential election in 2009. A Soccer Player Is Suspended For Three Months Because of His Wife's Online Modeling Activities !!!???? 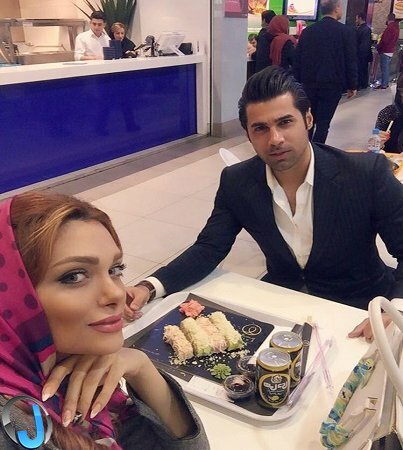 News coming from Iran indicates that; Mohsin Forouzan a soccer player in national league is suspended for three months because of his wife's online modelling activities. The soccer federation took this decision against Mr. Mohsen Forouzan the gole keeper of a national professional soccer club. This is just the tip of the iceberg on the basic violation of human rights in the Islamic regime. A little while ago the husband of a national champion did not allow his wife to join the international game because of regime's passport and travel policy which needed her husbands permission to travel abroad . Can anyone understand this ? She is the national champion and supposed to represent Iran in international game , but regime instead of supporting her ,supports the husband and won't issue the exit permit for her !!!???? The women in Iran are still bared to attend the male sports stadium . Read more in IRAN WATCH CANADA previous posts or Google search. 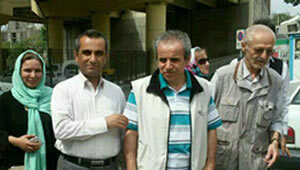 Several Political Prisoner of Rejaei Shahr Prison in Karaj City boycotted the Presidential Election In Iran ! 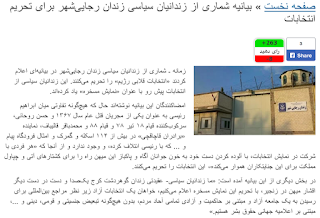 According to Zamaneh news , Several political prisoners in a statement released from Rejaei Shahr prison in the city of Karaj boycotted the presidential election in Iran and called it a " stage show" and a " fake election " by the regime . They said in their statement that: There is no difference between Rohani and Raeisi both have the blood stein of people in their hands. The statement reads : We the political prisoners of the Gohardasht - Karaj prison hand in hand and united boycott this stage show election by regime and demand for a free election under the international observers . None of the candidate speak about the systematic violation against the rights of Bahai's. 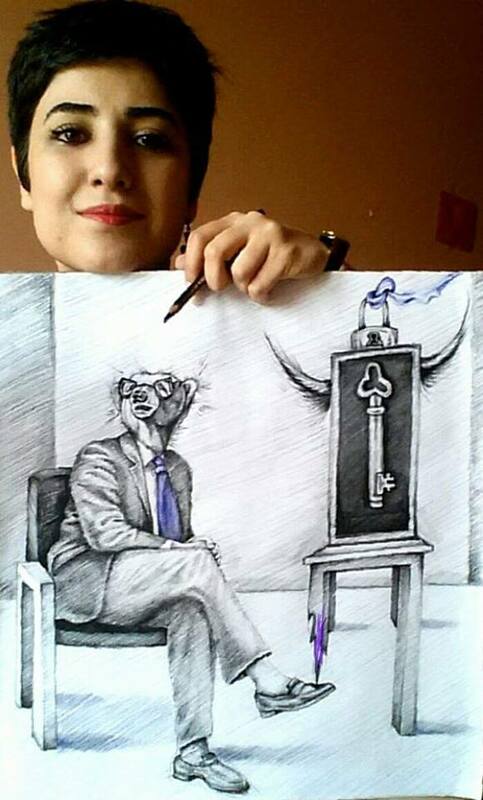 Iranian Bahai's does not enjoy the same rights as the rest of the Iranian citizens. Bahai leaders after many years are still in prison. Bahai's are being prosecuted just because of their faith. 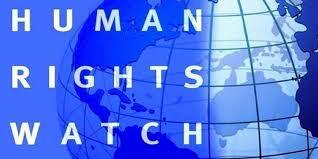 Violation of human rights when it comes to Bahai's are unbearable . It is in fact the Apartheid policy of moderate and fundamentalists, both candidates in the Islamic regime towards the Bahai's. Both of the candidates ,the moderates and the fundamentalists are promising to work on economic policies and none of them talking on political development in Iran which our country need the most. Years after years the candidates and the government officials were talking on economic policy and none ( except a short period when Khatami was the president) on helping to develop the civil society in Iran. Because of this Apartheid policy , the Iranian Bahai's live in constant fear . Families don't know when their children go out will come back home safe. UN and the rest of the world must put the Islamic regime ( moderate no exception) under pressure for what the regime is doing on one of its minority faith citizens the Bahai's. Iran Watch Canada have always monitored these violations and hoping this will stop immediately . According to news , Mohammad Sediq Kaboudvand Iranian Kurdish Human rights defender in Kurdistan and a journalist is released from prison after spending 10 years in prison for just founding and defending human rights in Kurdistan and Iran. Mr. Kaboudvand was greeted by her friends and family members after being released from prison. Mr. Kaboudvand was in prison and the prison official did not allow him to visit his son who was diagnosed with cancer , therefore Mr. Kaboudvand went on hunger strike for 59 days when he was allowed to visit his son. 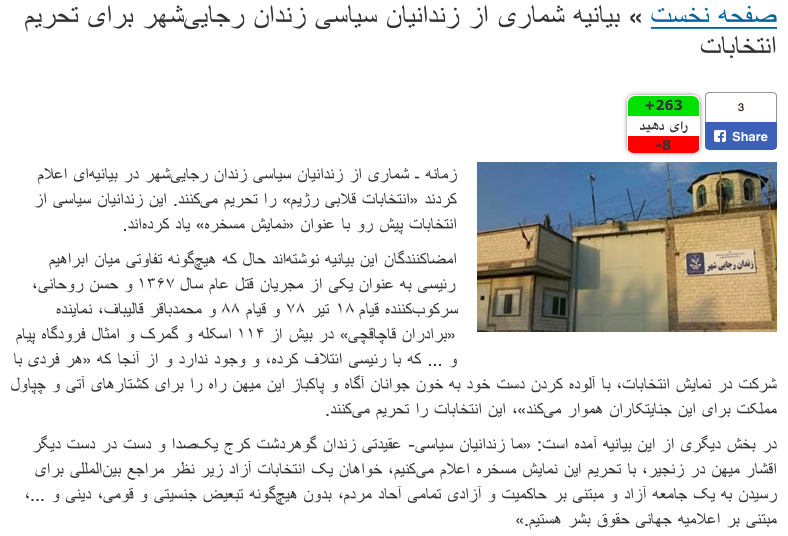 Mr. Kaboudvand was sentenced by the infamous Judge Moghiseh and he was charged with breaching national security and disturbing the public thoughts by writing article in " Payam Mardom "Weekly. Iran Watch Canada: Is Happy that Mr. Kaboudvand Is Released from Prison but believes the regime must be taken accountable for all the things happened on Mr. Sediq Kaboudvand who as a journalist and human rights defenders did what every Iranian should do to defend the human rights . Ahead of Iran’s elections on May 19 for president and local councils, 29 members of the European Parliament have written a letter to Federica Mogherini, the representative of the European Union for foreign affairs and security policy and vice-president of the European Commission, urging the EU to call on the Iranian government to stop the pre-election intimidation campaign against journalists and activists and ensure a free and fair vote for the people of Iran. 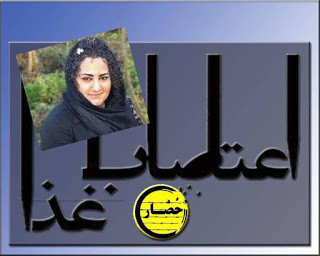 According to newsboy HRANA , Atena Daemi the imprisoned human rights activist was transferred to a hospital outside of the Evin prison due to deterioration of her health. After several tests she was returned again to the prison. Because of the hunger strike, she has lost 12 kilograms of her weight . She started the hunger strike in protest against the arrest of her sisters and creation of a political case file against her family members by the security forces. According to report from doctors she suffers from severe kidney infection. 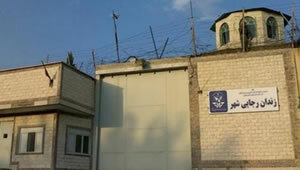 She is been detained in the women ward of the Evin prison. Aetna said ; she will continue her hunger strike until the judiciary drop the case files against her family members. According to news from Keyhan of London , Journalist Rahmatollah Jamshidi Larijani known as Iraj Jamshidi the editor in chief of the Asia Economic Newspaper is arrested today Monday at his home . He was arrested this morning , when leaving his house . Navid Jamshidi son of Iraj Jamshidi on speaking with Keyhan of London said: This morning three to four security agents together with a police officer arrested him while he was leaving the house and they have taken him to the prosecutor's office at Khark street and reason for his arrest is unknown . Before the revolution Iraj Jamshidi had activities in journalism and he had activities with Khosro Golsorkhi's group which was consist of 12 members reading Marxist materials. Iraj Jamshidi who was first sentenced to death by Shah's military court but later dropped the death sentence to 10 years imprisonment due to him expressing remorse . 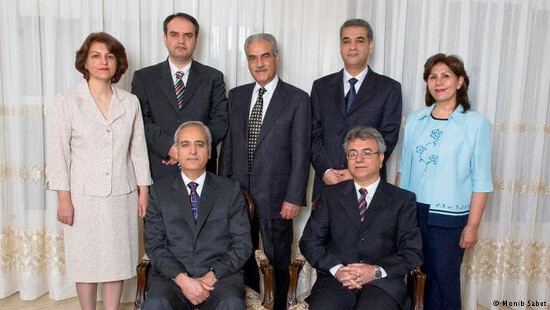 The group was accused by the regime of Shah for hostage taking of Shah's family members. Two members from that group were sentenced to death Khosro Golsorkhi and Keramatollah Daneshian . It is been speculated that Rahmatollah Jamshidi Larijani is the cousin of Sadegh Amoli Larijani and Ali Larijani the speaker of the parliament. 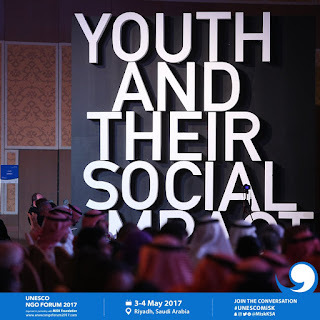 “UNESCO chief Irina Bokova should apologize to the family of Raif Badawi and other Saudi political prisoners," said Neuer. "We know that the U.N. must operate in many countries, but the world body was under no obligation to award what amounts to a false badge of international legitimacy to one of the world’s worst regimes when it comes to crushing independent human rights organizations and jailing innocent activists,” Neuer added. 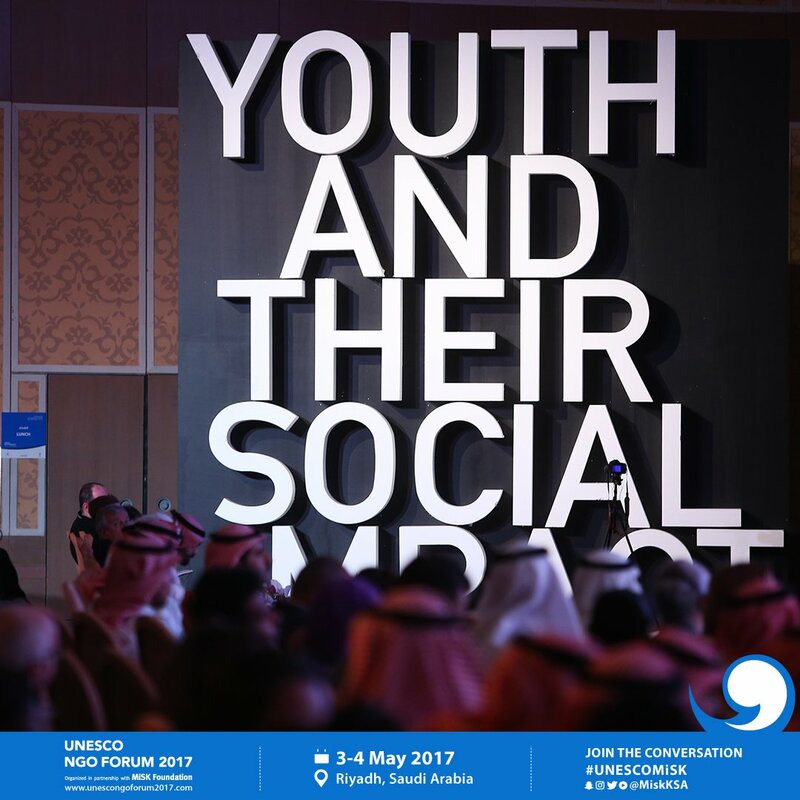 approval to participate in activities abroad, provide services outside Saudi Arabia, or become members of international organizations. Foreign associations and foundations are prohibited from opening branches inside Saudi Arabia. Not one of the candidates running for Iran’s presidency has an acceptable human rights record, Iranian Nobel Peace laureate Shirin Ebadi told the Center for Human Rights in Iran (CHRI) in a recent interview . Ebadi said she was especially appalled by the candidacy of Ebrahim Raisi, who served on a committee that implemented the executions of thousands of political prisoners in 1988. “His involvement in atrocities and the massacre of prisoners because of their political or religious views in the 1980s will not be forgotten,” said Ebadi, who defended activists and dissidents as a human rights lawyer in Iran. “They sent waves of young people to their graves for their views against the state and would not tell their families where many of them were buried,” added Ebadi, who was forced to flee Iran in 2009 because of her profession. On May 19, 2017, Iranians will elect their president from among six candidates: current President Hassan Rouhani; current Vice President Eshaq Jahangiri; the current custodian of the wealthy Astan Quds Razavi religious institution, Ebrahim Raisi; former vice president Mostafa Hashemitaba; the former mayor of Tehran, Mohammad Bagher Ghalibaf; and former Culture and Islamic Guidance Minister Mostafa Mirsalim. The majority of the estimated 4,500-5000 people who were killed during the summer of 1988 were members of the opposition group, the Mojahedin-e Khalgh (MEK). “He was sentenced to 20 years in prison in an unfair trial without having access to a lawyer. He was in prison for seven years and then in 1988 his family received a phone call that he had been executed, even though he had only been sentenced to prison,” said Ebadi, who was forced to leave Iran because of her occupation in 2009. The Iranian government has never acknowledged that the mass executions, mostly by hanging, took place in 1988. Many of the victims were buried or dumped in unmarked graves and many families were never told where their loved ones were buried. 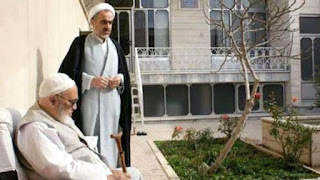 In August 2016, Ahmad Montazeri, the son of the late Grand Ayatollah Hosseinali Montazeri, posted online an audio recording of a meeting in 1988 between the ayatollah and the “Death Committee” that was appointed to question the prisoners. The prisoners, who had already been sentenced, did not know they were facing death when they then faced the inquisition-like proceedings held by the committees, which operated in Tehran and around the country. In Tehran, the prisoners were executed after one meeting in which members of the committee asked them questions about their religious and political beliefs. Ebadi, who won the Nobel Peace Prize in 2003 for her defense of human rights in Iran, also criticized President Rouhani for failing to defend human rights during his first term, which began in 2013. “One of them is my colleague, Narges Mohammadi, who has been in prison for many years because of charges brought by the Intelligence Ministry,” she said. The 12-man conservative Guardian Council, an unelected clerical body in charge of vetting all presidential candidates, rejected 1630 out of the record-number of 1636 people who applied to run for president in 2017, including all female and religious minorities. Atena Daemi The Child Labour Activist Imprisoned In Evin Prison, Is On Her 26 Days Of Hunger Strike . Does Anyone Care !!?? 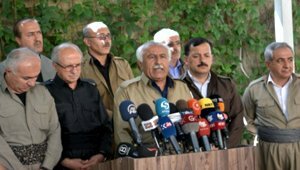 According to news by Radio Farda, five Iranian Kurdish Political party's have signed a statement and boycotted the coming presidential election under Islamic regime. The Website of the Kurdistan Democratic Party of Iran said; The coming presidential election which is being held by the Islamic regime can't be called as a free election " under any modern and democratic values " . 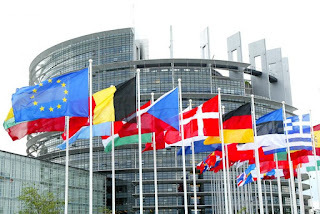 While the political parties are prevented from doing any political activities and free expression in Iran under Islamic regime is a crime , and the Kurdish people are deprived from their rights , then participation in the election means to take away the Kurdish people's rights to decide on their own destiny and it also means to agree with the continuation of the Islamic Regime dictatorship.. 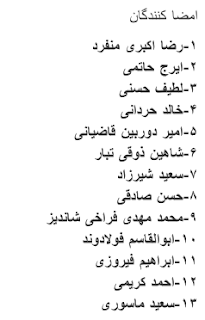 These opposition political parties asked from the Kurdish citizens not to participate in the presidential and city council's .